OLD PARKED CARS. : OPC's 700th post! 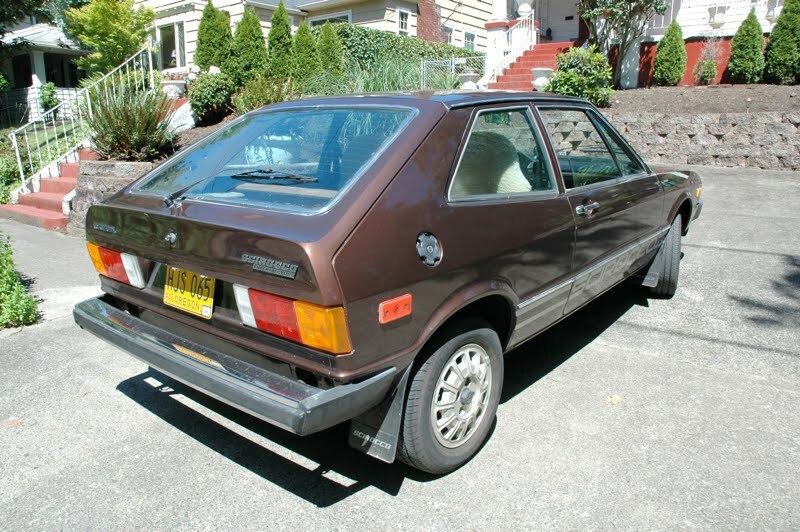 1976.5 Volkswagen Super Scirocco. OPC's 700th post! 1976.5 Volkswagen Super Scirocco. 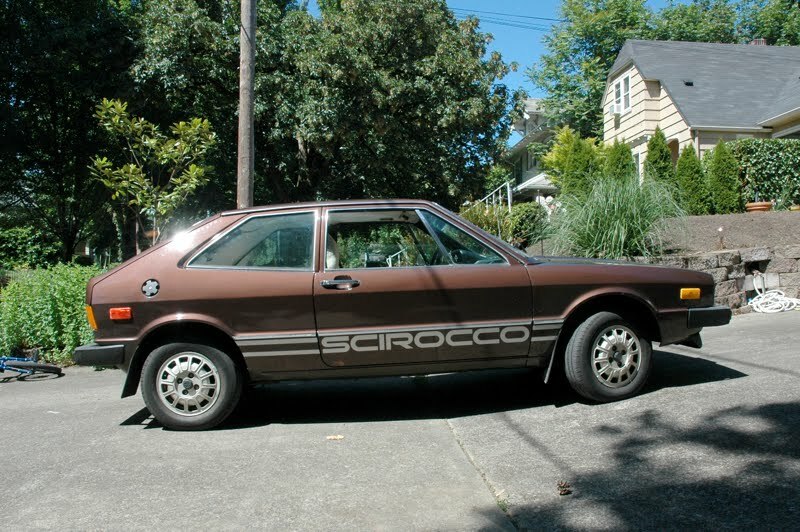 The owner told me this mid year revision marked the introduction of fuel injection for the Scirocco. It was really great to see how much he appreciated and enjoyed this beauty. It seems today's OPC update should be titled "Insanely Rare German Tin". That is one great anecdote. I'd gladly shake the owner's hand. I sure did, he even told me about some other classics in the neighborhood. I'm emailing him the link now. See any other old K-cars around? 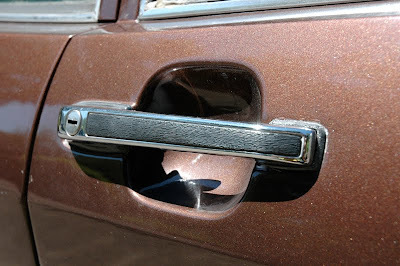 Like an E-class or an early 80's Aries? brown brown brown. best scirocco color, hands down. love the graphics. L-o-v-e it. Absolutely fantastic find. This Oregon car is becoming a celebrity. A frame-off Texas 1976.5should be coming out of the shoot in 6 months or so. These Supers are coming out of the woodwork! I just picked one up in Florida that had been parked since 1986! was the first car I ever rode in period. 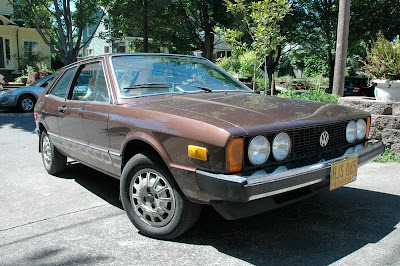 came home from the hospital August of '81 in my dad's Alpine White 1980 Scirocco S..16 years later it was almost my first car...bottom of the doors rusted out..broke our hearts..i grew up through the '80's with that car..i bought an '81 Scirocco S steering wheel for my '87 GLI just for sentimental reasons 4 years ago.. I had a 1976.5 as my first car, passed down from the original owner, my Dad. It was a heck of a first car to learn to drive on and toss around in Fox-Hollow streets (Lincoln, NE) before the houses were built. I wish we'd kept track of where it went when we sold it to buy an '85 Golf 4dr.